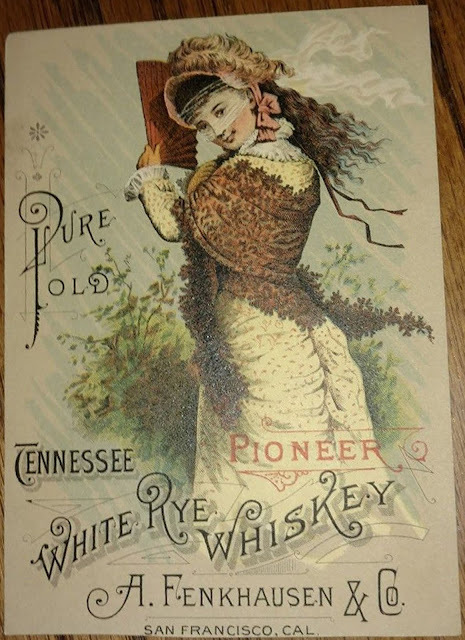 Western Whiskey Gazette (WWG): Real, repro, fantasy, fake? Recently there has been some discussion about a small handful of reverse glass signs that appeared in western whiskey collecting circles starting back in the 1970's. Based on input there are apparently two very similar variants with only subtle differences in the script and design to differentiate the two. 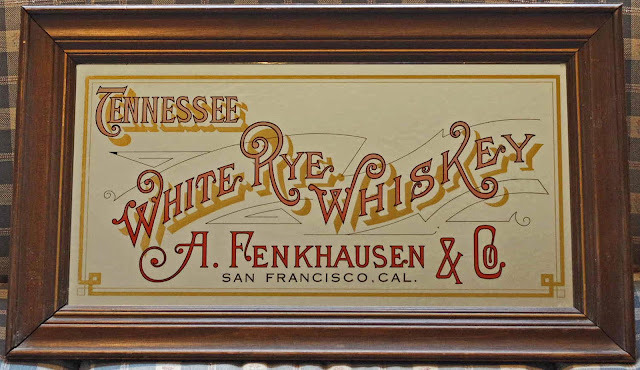 It had been generally accepted that these signs are fantasy pieces since the Tennessee White Rye Brand has only been linked to Braunschweiger & Co. (Braunschweiger was in partnership with Fenkhausen in the late 1870's / early 80's). Imagine my surprise when the following trade card surfaced courtesy of friend Ralph H. down in Northern Cal. Makes one wonder now, doesn't it ? ! Interesting how unheard of items keep popping up. Just bought one of these cool signs today in Deer Lodge Montana sure looked real. With that trade card just found these may be the real mccoy any help appreciated!